Since his childhood in Aurora, Illinois, Wendell Minor (b.1944) has had a romance with America. As he explores sections of the country more closely, his love of the nation grows with a vision that celebrates the beautiful and the lyrical. After completing his studies at the Ringling School of Art and Design in Sarasota, Florida, Minor began creating original designs for Hallmark Cards, as well as book publishers in New York City. 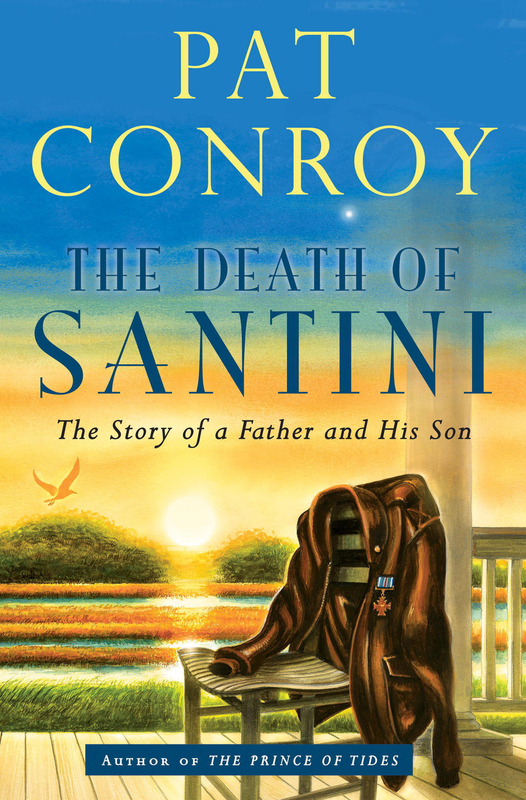 His cover illustrations have enhanced more than 2,000 works, including almost every jacket for books by Pulitzer Prize-winning author, David McCullough, and books by Jean Craighead George, Robert Burleigh, Pat Conroy, Larry McMurtry, and many others. Minor draws upon his lifelong affinity for environmental issues to create illustrations for children’s books, which he finds especially satisfying. His work allows him to combine his love of the outdoors with his independent pursuits—including painting the landscape from life, in the tradition of classic American painters such as Winslow Homer, Edward Hopper, and Andrew Wyeth. His wish is to inspire children to go out into the fields and woods and mountains to see wildlife in its natural habitat—to gain a positive perspective about the beauty that abounds in the world. 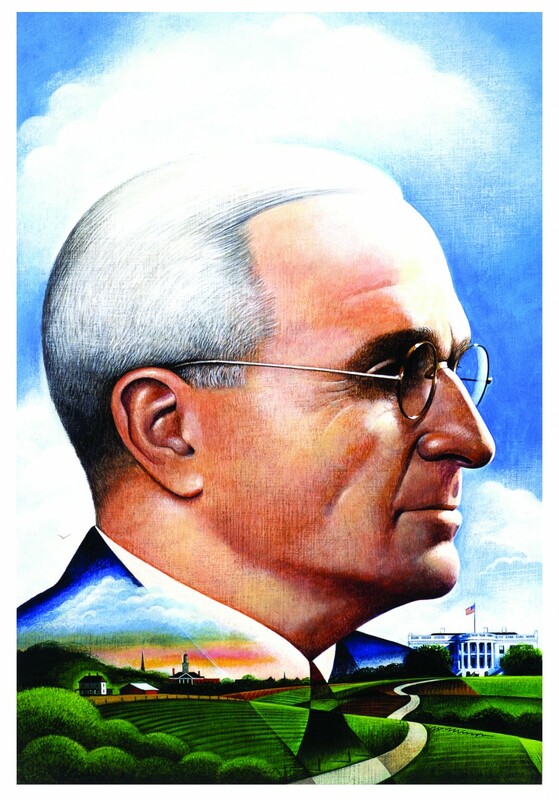 His award-winning books have frequently been named on the annual lists for Notable Trade Books in the Field of Social Studies, Outstanding Science Trade Books, and IRA Teachers’ Choices. His books have also received the Oppenheim Toy Portfolio and Parents’ Choice Awards and been featured on the PBS television program The Reading Rainbow. 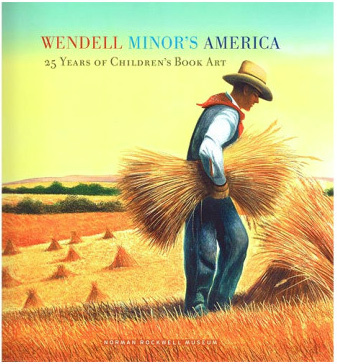 Wendell Minor has had numerous solo exhibitions, and his work can be found in the permanent collections of Norman Rockwell Museum, the Illinois State Museum, Muskegon Museum of Art, Mattatuck Museum (of Connecticut), the Mazza Museum at Findlay University, the Eric Carle Museum of Picture Book Art, Museum of American Illustration, NASA, Arizona Historical Society, U.S. Coast Guard, and the Library of Congress. He is a member of the Board of Trustees of the Norman Rockwell Museum in Stockbridge, Massachusetts, he serves on the Advisory Council for the Connecticut Center for the Book, and is a member of The Children’s Book Council (CBC), a non-profit trade organization dedicated to encouraging literacy and the use and enjoyment of children’s books. Referring to himself as a “recovering dyslexic,” he speaks in classrooms across the country, sharing with students of all ages the difficulties he experienced with reading as a child, and how those with similar difficulties can overcome them. Young readers generally belong to one of two camps. There are those who clamor for books that ask “What if?” of the world as it is, and go on to conjure imaginary realms with names like Narnia and Oz. And there are those readers who gravitate toward books that pose the question “Is it true?” and respond with a resounding “Yes!” The difference between these two groups is often a bred-in-the-bone difference of temperament (although it is of course perfectly possible to divide one’s reading loyalties). We become our adult selves in part by discovering as children the books that speak most urgently to us—by finding the stories we need. For more than a quarter century, Wendell Minor has illustrated, and on several occasions also written, picture books for ardent young realists. His subjects range across historical and geological time. Aviators and their aircraft have held a special fascination for him, as have railroad men and their locomotives, and perhaps most of all, naturalists and the creatures and wilderness spaces they seek to understand and safeguard. Places are the heroes of Minor’s illustration art as often as people. 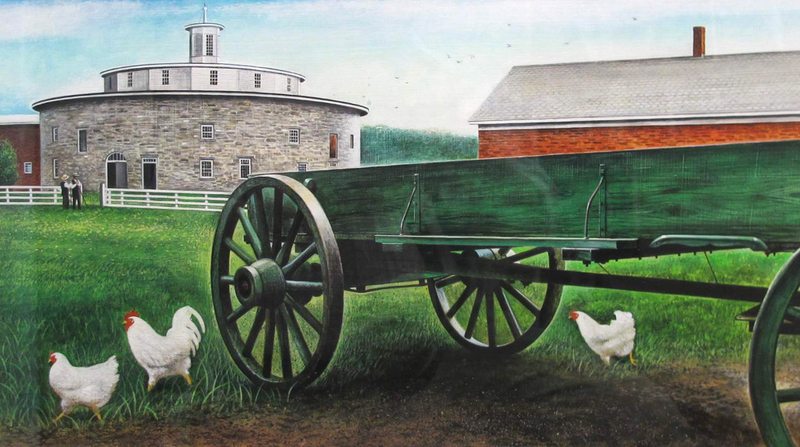 Americana is a Minor passion born of the artist’s rural Illinois upbringing. For him the Midwest is not a bland patchwork of “fly-over states” but rather a fertile proving ground that has inspired generations of human struggle and transcendence. One sees this in the illustrations of Abraham Lincoln Comes Home, written by Robert Burleigh, in which starlit prairie landscapes, with their endless expanses of farmland and long, lonesome roads, serve not only as scene setting but also as a kind of metaphor for the sixteenth president’s wide-ranging intellect, sober manner, and vast capacity for solitary reflection. Minor’s affinity for the American Plains is apparent as well in the paintings for Sitting Bull Remembers, written by Ann Turner, in which the traditional hunting grounds of the Sioux Nation are recalled as the site of a violent confrontation between cultures. As the destructive invading force, the U. S. government hardly comes off well in the brutal clash; the very definition of “American” is called into question. 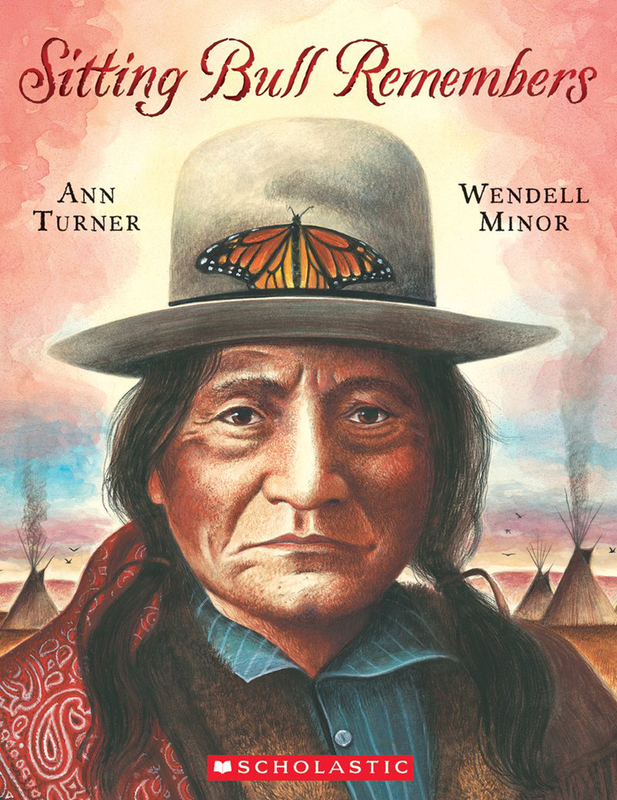 Minor adopts a thoughtful strategy for interpreting the story from the Native American leader’s perspective, incorporating within his classically rendered depictions of key events a more abstract, pictographic element based on the drawings of Sitting Bull himself. This graphic device powerfully reminds readers that the events being described were not merely about land ownership but also about how each side in the battle perceived the land, and what future each imagined for it. Picture-book biographies like Turner’s, and other authors’ stories of Henry David Thoreau, John James Audubon, Rachel Carson, Buzz Aldrin, and Revolutionary War patriot Henry Knox, have provided Minor with a showcase for interpretative portraiture. Without resorting to caricature, Minor subtly shapes the viewer’s response by highlighting what he takes to be the subject’s defining qualities. Among the first interior illustrations in Reaching for the Moon, a first-person reminiscence by Apollo astronaut Buzz Aldrin, is a formal early childhood portrait of the future astronaut, with the night sky ablaze in the background. The boy looks directly at the reader, his expression thoughtful and determined, like that of someone well beyond his years. A few pages further in, Minor catches him, now at age six or seven, in a more boyish and far less guarded moment: completely submerged in water, as though suspended in time, having been pushed into a lake from dockside by a prankish playmate. The astonishing image is a marvel of quicksilver atmospherics and light, as well as being a variation on the theme of focused determination. As young Buzz regains his balance and prepares to make his way up to the surface, he clutches a pail filled with the beautiful smooth stones he had been diving for earlier. The robust face-front portrait, which makes much of the athletic lad’s puckish nose and shock of reddish hair, is one of Minor’s most Rockwellesque images. In contrast to what Norman Rockwell might have done with the scenario, however, he chooses to play the unscripted moment less for laughs than for the chance to affirm a young person’s capacity for grace under pressure. Aldrin is not the only bona fide hero with whom Minor has collaborated. As a writer for children and teens, the late Jean Craighead George played a seminal role in instilling an awareness of environmental concerns in three generations of American readers. (It is a fun fact—but no small matter—that as a staff entomologist with the U. S. Department of Agriculture, George’s father, Frank C. Craighead, mentored the young Rachel Carson.) In the course of collaborating with George on over a dozen picture books and novels, Minor undertook ambitious research trips to places as far-flung and physically challenging as the Arctic and the Everglades. One can usually tell when an illustrator has relied on file photographs and other secondhand sources for pictorial information. Not Minor, for whom illustration is an act of total immersion. The result of his fastidious effort is art that yields a palpable sense of being in the presence of precious, wonderful things: the Grand Canyon (of course), but also a Sandhill Crane, and a wolf in the wild. Minor’s art is above all an act of preservation. When the illustrator is not cataloguing the animal species that the world is at risk of losing forever, he turns his gaze on the precise look and shape of a decorative New England tavern sign, or of the cannons at George Washington’s command during the American Revolution, or the known particulars of the interior of Henry David Thoreau’s Walden Pond cabin, or the kingly “butterfly hat” worn by Sitting Bull. The young reader who asks of these or any number of other pictorial details, “Is it true?” will have met his match in Wendell Minor’s rigorous and richly accomplished illustration art. What matters more: such a reader will have met a kindred spirit. Leonard S. Marcus is one of the world’s leading authorities on children’s books and the people who create them. His award-winning books include Dear Genius, Golden Legacy, Show Me a Story!, and Randolph Caldecott: The Man Who Could Not Stop Drawing. He is the curator of The New York Public Library’s landmark exhibition “The ABC of It: Why Children’s Books Matter” and is a founding trustee of the Eric Carle Museum of Picture Book Art. He lives in Brooklyn, New York. Aldrin, Buzz and Wendell Minor. Look to the Stars. New York: Puffin, 2009. Aldrin, Buzz and Wendell Minor. Reaching for the Moon. New York: Harper Collins, 2005. Burleigh, Robert and Wendell Minor. Trapped! : A Whale's Rescue. Watertown, MA: Charlesbridge, 2015. Minor, Wendell. 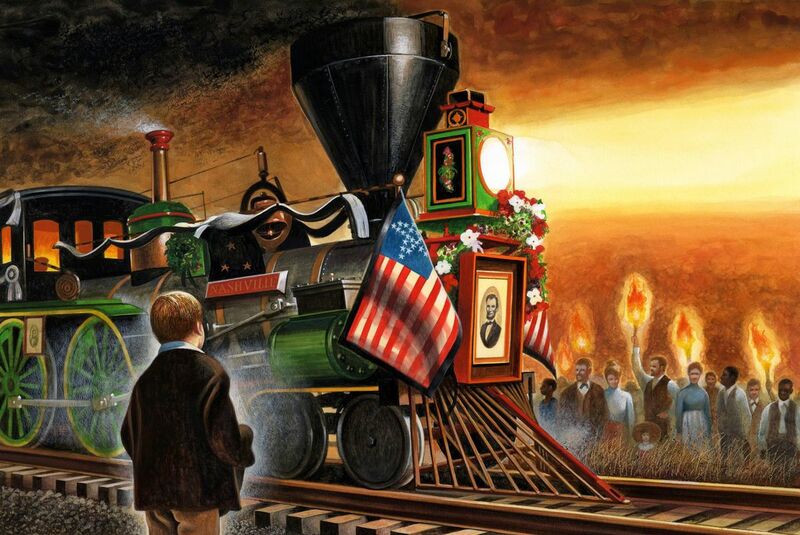 America the Beautiful. New York: G.P. Putnam, 2002. Minor, Wendell. Grand Canyon: Exploring a Natural Wonder. New York: Blue Sky Press, 1998. Minor, Wendell. Pumpkins! New York: Blue Sky Press, 2000. Minor, Wendell and David G. McCullough. Wendell Minor: Art for the Written Word: Twenty-Five Years of Book Cover Art. San Diego, CA: Harcourt Brace, 1995. Minor, Wendell and Florence Minor. Christmas Tree! New York: Scholastic Inc., 2005. Siebert, Diane and Wendell Minor. Heartland. New York: Harper Collins, 1989.